4Chan has a brand-new imaginary girlfriend, and she might look a little bit familiar to you. “Daisy Hogg” seems designed to win the hearts (and the pants-feelings) of the 4Chan demographic — she’s a young, slender hottie who loves guns, Trump, and owning the libs. A Case of the Memedays: Can you gyno-explain this baffling gyno-meme? I skipped Memeday on Friday, what with Brexit and all, so let’s have a manic Memeday Monday instead. The somewhat bewildering meme above was recently posted to the A Voice for Men Facebook page, along with a brief explanation of what the meme-maker was trying to get at. This picture has nothing whatsoever to to with the post. I just like it. It’s Friday. 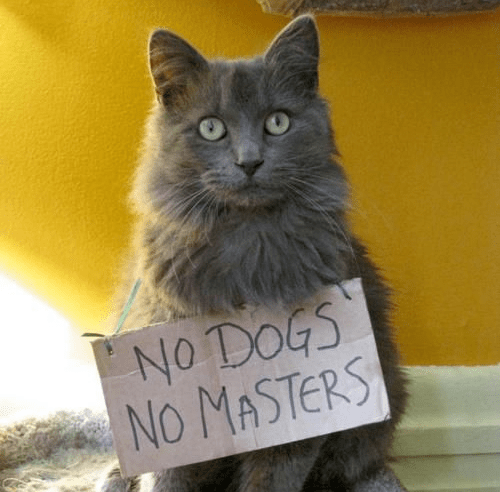 Why not welcome in the upcoming weekend with a picture of an anarchist cat and a completely unrelated, completely unhinged manifesto from the MensRants subreddit, the Men’s Rights subreddit’s unruly younger brother. In a post with the somewhat roundabout title “Just posting this publicly gives me an ulcer. But I won’t let it stop me,” an angry fella who calls himself sizzletron set forth his opinions about, well, a lot of things having to do with women. It’s a piece that’s pretty much impossible to summarize, since sizzletron apparently finds it difficult to keep the thread of an argument going from one sentence to the next. TyphonBlue, making the same face I make every time I read anything she’s written. Over on the Men’s Rights subreddit, the regulars are discussing the case of a Japanese man who set himself and his nine-year-old son on fire on a playground in an attempted murder-suicide; the man died, but his son, while severely burned, managed to survive. The discussion amongst the Men’s Rightsers is actually less awful than one might expect, with only a few commenters making excuses for the man, or blaming his ex-wife. Many of the regulars are actually condemning his actions straightforwardly. And then there’s TyphonBlue, the highly inventive female Men’s Rights activist who is one of A Voice for Men’s self-proclaimed “Honey Badgers.” She thinks the fact that the man tried to kill himself along with his son is a point in his favor and, more than that, a sign that men are better than women.